Removable dentures are a viable option for replacing missing teeth; however, they may not be the best option. Slippage, instability, and discomfort may occur with traditional dentures, which are issues that can be avoided by choosing dental implants instead. As a comprehensive dental care provider, Dr. James Rogge offers both the surgical placement and restoration of dental implants to residents of Dover and surrounding communities. Dr. Rogge uses his extensive training and continuing education courses to provide the proper, safe delivery of dental implants. We continue to utilize the most cutting edge techniques to ensure patients receive the highest quality of implant treatment. 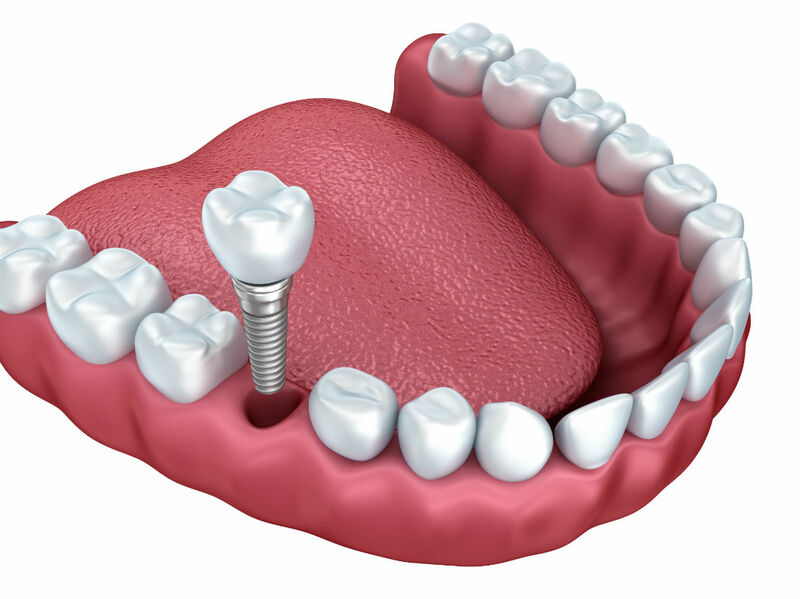 Usually crafted from titanium, dental implants are placed into the upper and/or lower portion of the jaw. From there, artificial teeth are placed onto the implants. These teeth look like the patient’s natural teeth, or even better! Make bridges and dentures more comfortable and stable. Alleviate bite dysfunction and joint pain due to shifting teeth. Replace a missing tooth (or teeth) without adversely affecting existing teeth. Alleviate dental-related speech, digestion, and chewing problems. Restore and enhance not only the smile but also the facial structure and tissues. If you’re in Dover or the surrounding area, contact Walker Square Dental. Dr. Rogge provides restoration and maintenance of dental implants. What if I already have Implants? Dr. Rogge typically uses Biomet 3I and Zimmer products to create the crowns for dental implants. Although Dr. Rogge can guide patients through the dental implant process from start to finish, he can also work with patients who already have implants that may need repair. The dental professionals at Walker Square Dental in Dover have been working with dental implants for more than 20 years. During that time, we’ve had great results with implants and believe from experience that they are an excellent investment in a patient's oral health. Implant Supported Dentures. These dentures are for patients with 2-8 implants per arch. Wearers no longer need to worry about what they can and can’t eat — denture slippage is a thing of the past! Patients who have five or more top implants can be fitted with a denture that doesn’t obscure their palate — meaning their sense of taste is restored to its natural state. Snap-on and Screw-in Dentures. When it comes to Implant-over-dentures, patients have two choices: Snap-on dentures, which are removed by the patient at their convenience; and screw-in dentures, which can only be removed by a dental professional. Dr. Rogge will help you decide which is the best option for you. If you’re looking for a dentist that offer implant solutions in the Delaware area, don’t wait any longer for your confident new smile — contact Dr. Rogge at Walker Square Dental in Dover to discuss your dental implant options. Call 302-736-1423 or email walkersquaredental@comcast.net for more information, or to schedule an appointment.